Paul Boag: This week on the Boagworld Show, were joined by Sara Soueidan, who talks about her career as a developer and how it's taken her all over the world. This week's show is sponsored by Pactly and the Digital Project Manager School. Hello and welcome to the Boagworld Show, the podcast about all aspects of digital design, development and strategy. My name is Paul Boag. Joining me on this week's show is Marcus Lillington and Sara Soueidan. Have I got that right, Sara? Paul Boag: Go on. What should it be? Sara Soueidan: Well you pronounced the first part correctly, but the other part, it's Soue-da, not Soue-dan. Paul Boag: Ah, Soueidan. Right. Sara Soueidan: Dan. Yeah, so just a little bit extra emphasis on the A.
Paul Boag: Well you got to realize that that I'm from the West Country in the UK, and As and Rs are particularly hard for us. We have an inherent bias when it comes to that. It could be worse. Paul Boag: I know it's horrible. I mean I get the same problem. People pronounce my surname in different ways all the time. Yeah. Paul Boag: How do people get yours wrong, Marcus? Marcus L: Oh I've been Mr. Hillington and all sorts of stuff. Marcus L: Yeah. There you go. Paul Boag: Hello, Sara. It's good to have you on the show anyway. Sara Soueidan: Thank you for having me. Thank you. Paul Boag: Yeah. As someone's just pointed out in the chatroom, did you know that Marcus is actually a lord? Sara Soueidan: No. I did not. No. Paul Boag: He's a lord. Marcus L: Yes, my son bought my lordship-ness, but as a birthday present. I think it cost him 20 quid. Marcus L: But it's real. It's actually real. I can never remember the title, but it's some lord of some castle up in Scotland somewhere or some bit of land. Yes, I am actually Lord Lillington. You could be too. Paul Boag: Are you … It comes to say. This tells you where the whole interview is going to go, because the next question gives it away. Where are you currently? Which of the many countries that you seem to regularly visit are you currently in? Sara Soueidan: I am based in Lebanon, so I am currently here, because I'm … Well conference season starts officially for me in about three weeks. Until then, I'm based in Lebanon. Paul Boag: Right. Okay. Lebanon, what's it like? I've never been to Lebanon. Sara Soueidan: Oh that's a very tough question. So there's a lot of … I'm going to try to be nice, because you know, it's my country. We have a lot of problems, granted, yes, but Lebanon, I think is … Let's just say it's a very interesting place to be in. Every single possible, imaginable level. You know, it's home. What else can you say about your home aside from the fact that you love it. Family's here, everyone that I love is here. The weather is really nice. The nature is also nice in the places where the people haven't touched it yet. Yeah, we do have a few problems like not that fast wi-fi and it's not a first world country yet, but it's home. It's Lebanon. It's home. Paul Boag: You don't think of Lebanon as the kind of beating heart of web development and design. I'm fascinated. I'm fascinated how a woman from Lebanon ends up being this kind of world renowned web developer that travels around and does training. How did that happen? Sara Soueidan: I have no idea. Paul Boag: It just happened one day. Sara Soueidan: Yeah. For me, it literally just happened one day. I did not see any of this coming. I did not know any of this would happen. I didn't expect to become a web developer. My dream has always been to become an architect. I love architecture. A lot of things happened in my life, a lot of unexpected things that made me take a lot of unexpected detours. I ended up in computer science in university, which is a major I did not like. Then I graduated and I didn't know what to do for a living, because I did not like computer science. I used to be an artist. I drew a lot. For the first few months, I kind of thought of web development or coding, in particular, as another form of art. Instead of using a pencil and paper to build something, I would be using code and a screen, a computer. Yeah, I always thought of my drawings as my babies. So I know this sounds very weird, but I do think of anything that I build as my baby on the internet. It got me hooked. Paul Boag: Yeah. So if I'm understanding you correctly, basically this is your fallback career. Sara Soueidan: I didn't even know I had a fallback career. Yes. But yes. Paul Boag: I mean you've done pretty well out of a fallback. Well I can't think of anything else to do. I'll be a web developer. Paul Boag: I mean how … Right, okay. I get how you got sucked into it. Sorry, I've gone straight into the interview. Screw all the preamble. This is fascinating. I get how you started off. You kind of got pulled in, because you like the sound of being able to work for yourself, et cetera. You seem to like … I mean you're quite young, relatively to me and Marcus. Marcus L: Certainly to us, yeah. Paul Boag: You just seem to appear out of nowhere as this kind of new person that everybody was talking about. Was there an event that kicked that off? Was there … Did you win some award? Did you … How did you get known? Sara Soueidan: Actually I think the award came after. I think the award was because I was already known at that point. Sara Soueidan: I think that I started writing a little less than a year. I've always had a talent for teaching and writing ever since I was a kid. This is something that grew with me. I think this is one of the most important things that helped me in web development and doing what I do. I was writing articles. I was heavily inspired by Codrops 00:08:10. I love them so much. I started doing similar things, like creating things and then writing tutorials on how to recreate them. I think that the thing that got me really out there was I started … I don't know how to pronounce his name. I think it's Hakon, the inventor of CSS basically. Sara Soueidan: Yeah, so he wrote this article saying that CSS regions are bad, and that they should not be implemented anywhere. At that point, I was already learning CSS regions. I was learning about CSS shapes and writing about them. I was excited about the possibilities of what CSS shapes plus CSS regions could bring to the web. I have a fascination with print design. I was really excited about the idea of bringing that to the web. When Mr. Hakon wrote that article, I was like, "No. No. CSS regions are great. They're amazing. They can do a lot of great things." Most of the points that he mentioned in his article, I disagreed with. At that point, someone … I tweeted about my disagreement. That's when someone on Twitter suggested that I write article for A List Apart to counter his. Sara Soueidan: Yeah. I remember my first reaction was what? You really want me to write for A List Apart? I mean I'm nobody. Yeah, I wasn't courageous enough to submit it to A List Apart. I did write it and I publish it on my blog, on another blog, and people started talking about it a lot, because you know, there's the inventor of CSS, and then there is this nobody that no one had ever heard of before. She was countering all of his points. I mean everything that I'd learned about CSS shapes and CSS regions at that point was from amazing people and friends working at Adobe. Adobe made CSS shapes. I knew exactly what CSS regions were supposed to do. I felt like what Hakon was saying in his article was not really the entire picture. I got very defensive and I wrote that very long article called CSS Regions Matter. That's what I got people interested in me. Some of my favorite people in the industry started following me on Twitter and I started getting more exposure. Paul Boag: Alright. Let's summarize again the lessons learned so far. Pick development as a fallback career. When you do kind of stumble into it, be really argumentative, and just cause a lot of trouble. Marcus L: inaudible 00:10:47 master. Paul Boag: So good advice. That's amazing. What an amazing story. Marcus L: I've always thought that kind of great success, obviously talent is required, but I've always thought that you also need to be at the right place at the right time. It seems like the fact that what you just described is kind of like well I'm going to pick on the biggest guy in the room. Paul Boag: She's got the prison mentality. Find the biggest guy and beat him up. Sara Soueidan: Well to be fair, I didn't think I wanted to pick on anyone. I wanted to defend someone or something. Paul Boag: Yes. That's a nice way of putting it. Sara Soueidan: So instead of being a bully, I was more of a nice person trying to defend the innocent guy in the room. Marcus L: Yeah. That's what I meant really. Paul Boag: That's such an amazing story. Go on, Marcus. Marcus L: No. I was going to kind of repeat myself. That's a different story. I was expecting you to say yes, I was in this conference, and I bumped into so and so, and they saw me speak. That's how it normally happens, isn't it. I was at the right place at the right time. That's just such a different way of looking at it. Sara Soueidan: I mean the part that you just mentioned is the second part of the story, but the way I started out was with that article, I think. Paul Boag: So I mean, you know, actually, in all seriousness, there are some good lessons to learn from that in terms of the fact that you were, A, you had the confidence to go ahead and do that. You know? To come out and disagree with people. I think that's good. There is this assumption that oh he's a guru in the industry. We can't disagree with him. But also, secondly, that you … Not only did you have the confidence. You had an opinion. I think oftentimes, everybody just kind of is almost afraid to express their own opinion in a situation. Where did that come from? Is that natural to your personality? Sara Soueidan: It's the reason a lot of people like me and the reason a lot of people dislike me at the same time. Paul Boag: Yes. I can associate with that. Paul Boag: I would fall into the same category. Paul Boag: In the UK, we have something called Marmite. Paul Boag: Which is a spread. It's disgusting. How would you describe what Marmite is? Marcus L: It's actually a vegetarian spread that you put on bread, but it tastes like meat, weirdly. It's a yeast. Paul Boag: It's very, very strong tasting. Marcus L: Really, really strong tasting. We're all brought up on it from being little children. The saying with Marmite is that you love it or you hate it. If something is Marmite, then it's something that you either love or you hate. I don't mind it. Sara Soueidan: So yeah. We're Marmite. Is it Marmite? Paul Boag: We're Marmite, yeah. Look at the chatroom. Instantly, two different opinions on Marmite. You know? It sends people in either direction. Paul Boag: So I'm quite interested talking about the Marmite thing and how people react towards you. I mean obviously, you come from a culturally very different background. You come from a very different religious background to most people. That has certain cultural behavior in terms of … You know, the first time we met, I went to shake your hand. You were going, I don't really do that. There was that kind of awkward moment that people have. Has that been problematic? Have you ever got a negative reaction towards your background? Are you generally being embraced with open arms? Sara Soueidan: Embraced with open arms. Sara Soueidan: Yes, it is amazing. I am very grateful and very blessed in that. Thankfully, most people are not as mean as a lot of people on the internet sounds. In real life, it's very different. People are nice. People are kind. People are welcoming. So yeah, the only awkward thing that I've ever had was with the handshake thing. Thankfully, usually … I mean I feel guilty sometimes, because if this guy wants to shake my hand, and I'm like I'm sorry, I can't shake hands. Then they feel guilty. Then they start apologizing for wanting to shake my hand. I'm like, no, no, no. What you're doing is nice. You know? Shaking hands is a nice thing. I know it's a gesture of good will, so I'm not offended or anything. I just can't do it. Paul Boag: I think my reaction in that situation was I should know this, right? Paul Boag: I should've already been aware of that thing and been sensitive to it. That was my kind of reaction. It's interesting, isn't it? It's fascinating. Sara Soueidan: It is. It is. Yes. Cultural differences are really great. I love learning about other people's cultures as well. Yeah, overall, the experience has been amazing both online and at conferences. People have been really great and welcoming and respectful. I really, really appreciate that. Marcus L: I have to say I wasn't expecting you to say that. Paul Boag: No. Neither was I.
Sara Soueidan: I mean this happens in the context of the web community. The web community is amazing. I do get a lot of weird looks and behavior from people outside of the community during my travels. You know, people who don't know what I do … In the community, people know Sara as the web developer. That's the way they look at me, as the good web developer. Outside of that context, for most foreigners in the western country, I'm just another Muslim who is coming to take their jobs and lie to the government to stay in their country. That is just ridiculous. Paul Boag: Yeah. What I think surprises me about that response that you've had from the web community. Forget the rest of society. I really don't care. But when it comes to the web community, there was a … A while back, there was this kind of undertone of oh well, she's only become successful because she's a woman and she's a Muslim and all of that kind of thing. Paul Boag: I think we've gone past that bit, which is nice. Sara Soueidan: Who said that? Paul Boag: Oh it was … No. Not about you. Marcus L: Who was it Paul? Paul Boag: Sorry. Sorry. Not about you. There was that general undercurrent of people are only successful because they're this or they're that or they're other. It's given them an unfair advantage. It was around for a little while. I feel like we've come out the other side of that a little bit more. It's great that that's been your experience in it. I'm talking like 10 years ago. I'm not talking yesterday. Sara Soueidan: I think the reason I've never thought about this in this way is because … It's because of the way my parents raised me. They never ever made me feel that I was different just because I was a girl, or just because I was wearing a hijab or something. No. I never felt like I couldn't do something just because I was a girl. I mean of course there have been a few exceptions, but generally speaking, I was never brought up in a way to feel inferior just because I'm a girl versus a boy. One of my siblings, for example. No. No. I've never looked at things from this perspective. I've never seen people from this perspective either. I mean I don't judge someone just by the way they look or by their gender or by their ethnicity or anything. These kinds of ideas don't really cross my mind. That's why I was a little surprised when you said that. Marcus L: I grew up pre internet. Marcus L: '70s and '80s. Paul Boag: You didn't grow up pre-internet. Sara Soueidan: I did. Come on. I'm 33. Almost 33. I was born in '86. I did have a pre-internet childhood, thankfully. Marcus L: Kind of just. Paul Boag: If you were coding HTML in the eighth grade, that doesn't count in my opinion. Sara Soueidan: Oh come on. I was 14, I think, or 13. Yeah, I did have a childhood. I think internet started coming into my life in my teenage years. Before that, I was a happy pre-internet baby with no obsession with screens, a healthy childhood. A healthy childhood. I miss those days. Paul Boag: Yeah. You know you don't have to use the screens. It's possible to put it down. Marcus L: It's an addiction, Paul. Come on. Sara Soueidan: Yeah. Yeah. Yeah. Marcus L: Got one here. Paul Boag: Anyway, well all of that is a massive tangent. I want to get more into what it is you do now. So far, we've been speaking for 20 minutes and it's all been a tangent. Let's take a moments breath, talk about our sponsor, and then we'll get into the proper questions. Paul Boag: Alright. Our sponsor is The Digital Project Manager School. So far in this season, we've been talking to a lot of people that have got a lot of different hats that they're juggling, a lot of different roles that they do. I guess we all experience that to some degree. We all need good management skills, whether you're a freelancer, like Sara, or whether you run an agency, like Marcus, whatever. We've all got to have management skills. That's why I really wanted to feature The Digital Project Manager on this podcast, because it's a website, a podcast, an online community, an online school that offers tons of resources to project managers, or basically anyone who ends up doing project management, either officially or unofficially. They launched a course last year called Mastering Digital Project Management, which has gone down incredibly well. They're rerunning it. The course is completely online. It's a seven week online curriculum. It covers everything from border topics, like project methodology and leadership qualities, to techniques for doing those kinds of daily tasks that you got to do, like estimating projects, handling budgets, writing briefs, dealing with unexpected challenging stakeholders. You know? Your more kind of painful stuff. You can apply for the next course now by going to TheDigitalProjectManager.com/boagworld. Marcus L: Okay, before you move on, Paul, I just checked your email while you were saying that. Remember what we were saying before Sara joined us about how mad it is at the moment? Paul Boag: No. It's a good problem to have, Marcus. Marcus L: Also, this is where my head is at the moment. As you can see, I'm at home. The setup of guitars are behind me. I was in the office this morning, because I'm meant to be kind of taking things down, because we're moving all the stuff to a different office down the road. I packed up all the podcast stuff, put it in a box. Marcus L: And took the meeting room table apart. Then realized that, oh, I've got to record a podcast in two hours time. So I then drove home like an idiot to get back and sit here. Marcus L: So yeah, life's mad at the moment. Paul Boag: Sara, have you always been a freelancer then since you started? Paul Boag: Wow. So you've never had to work for the man? Paul Boag: See that's nice. I envy you that. Sara Soueidan: I've been able to work with the man, with people. Paul Boag: It's okay. You can always fire them. Marcus L: Or walk away. Paul Boag: Yeah. So how do you describe your role and what it is that you do, especially to people like that aren't a part of the digital field, maybe friends, family, people like that? Paul Boag: That makes it harder, doesn't it? Sara Soueidan: Yes. It's also a little funny. I usually tell people that I build websites. Some of them just nod and they're like, "Uh-huh, okay. Yeah, whatever that means." They just move along. Others are intrigued more and they ask me whether I design websites. They think that I design what the website looks like. That's when I tell them that I don't do the design. I try to simplify it as much as possible, so I tell them that I get a picture of what the website looks like and I turn it into a functional thing. I turn it into the website they can actually use, you and everybody else can use. Some of them, again, at this point, they're like, "Oh, okay. That must be interesting." Then they stop talking. Others are more interested and they're like, "Okay, so this is your job. I mean this is what you do for a living." I say, yes. They start asking me if I work for a company. I get this question a lot. They ask me, "Do you work for a big company?" I tell them that I don't. That I'm a freelancer. Being a freelancer that works on the internet is not something very common in Lebanon. A lot of people think of this as not being very important anymore, so they think that I'm not really doing anything with my life. Obviously, I don't really care. Honestly, I don't care. If they're interested enough to ask me more details, that's when I tell them. I tell them I don't work for a company, but I work with companies across the globe. Sara Soueidan: Some of them, usually, when I say that I work with companies across the globe, they are interested in learning more. They tell me like, how do they find you. I tell them that I have a website and that I have a Twitter account and that I share stuff and that I write articles online. Then that I run workshops. They don't know any of the companies and any of the stuff in the web development field, but usually, as soon as I mention Netflix, they're like, "Yeah, we know Netflix." At that point, I tell them, "Yeah, well I trained their team on something that we do on the internet." They don't know what SVG is, so I'm like, "This is just another thing that we do as web developers." I train people to do things. I travel to speak at conferences. This is basically it. I don't get into technical things. Paul Boag: If you say, "Oh yes, I train the people at Netflix," that makes you sound pretty damn clever, doesn't it? Sara Soueidan: Yeah, it does. Yeah. Yeah. Paul Boag: That should impress most people, I would've thought. Sara Soueidan: Yes, or at least the people that know a little bit about technology. Most people around me, they are not interested in the slightest in what I do at all. They don't know anything about web, not because they're ignorant, but they're not doing this thing for a living. They're interested in other things in life. Paul Boag: But I actually think … Don't you think that's a good thing to have people around you that just don't know anything. I think it makes you much more realistic about what's actually going on in the web. Sara Soueidan: Yes, exactly. Yes. Yes. Definitely. Paul Boag: Yeah. I made it hard for you by asking you to say it non digitally, but it sounds like you do some training. Do you do … You do some writing, teaching, that kind of stuff. Do you still get to do a lot of hands on project work as well, or not? Sara Soueidan: I do not want to be just a teacher. Unfortunately, it turns out that I do give out the impression of being just the teacher, even though I try not to. Recently, I started mentioning at the beginning of my talks, I don't like introducing myself because usually, when I introduce myself, I just say, "I'm just another front end developer." I don't like talking about … I'm not used to bragging about those stuff. I just tell people that I'm a front end developer. I'm interested in CSS and SVG, and now accessibility. I'm here to talk to you about this stuff that I really like. Recently, I started adding an introduction where I actually tell people that I do freelance web, front end development for a living. For me, my job is 50% front end development hands on, and 50% speaking and workshops training. Sara Soueidan: Yeah. Also, you know, honestly, everything that I get to speak about or train people on is due to or as a result of the things that I do hands on. If I'm working on a project and I'm learning a lot of new things, or find that I need to learn a lot of new things, these are usually good topics and good material for articles and for workshops and talks as well. Yeah, definitely, mainly a front end developer, who also happens to speak and train people. 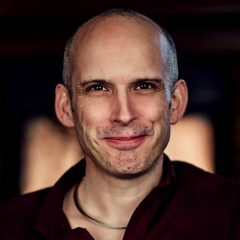 Paul Boag: Which way around does … I could imagine when people initially reach out to you, are they normally reaching out for training and then they, after you've done the training, they go, "Well actually, can you help us do this?" Or are those two things completely separate? Sara Soueidan: Completely separate. Completely separate. Actually, I recently chatted with a potential client, so we're not really sure if we're going to be a good fit for each other. One of the things that he mentioned is that if we do not end up working together, he would be interested in me training their team. This is the first time these two have ever overlapped for me. Usually, from the development of something and training is completely something different. Paul Boag: See that is completely the opposite to my experience, for me. In my world, people almost always come to me for training and advice to begin with. Then realize that they actually need some help implementing it, so I then go and do the implementation. That's really interesting. Paul Boag: Go on. No. No. Go on. Go on. Sara Soueidan: Maybe because I don't do consultancy at this time. I do get a lot of requests for consultancy. Some of them do say something similar to what you just mentioned. Like we would like you to help us learn how to do things and then maybe you could, at some point, help us build it in the future. So yeah, but I don't usually do consultancy. That could be the reason why. Paul Boag: Can I ask why not? Sara Soueidan: Honestly? You want an honest answer? Of course, you want. Paul Boag: Yeah, you're going to say, because consultants are a waste of money and time, and I agree. Sara Soueidan: No. No. No. No. On the contrary. Actually, sometimes I think of workshops as a full day consultancy. Sometimes if I'm running an in house workshop for a client, I do include consultancy. Not only will I be running my prepared workshop, but I also let them know that if they have any question about anything that they're doing in their product, so they could think of this workshop as both a workshop and a consultancy session. I don't do consultancy because honestly I don't know enough. I'm not talking about the technical side. I don't know how to be a consultant. I don't know. I mean I can't imagine. If a client asks me to help them with something, I'm like, I mean I could just help you. I could just ask you a question in 10 minutes. Why would I want to get paid for those 10 minutes. It doesn't make sense for me and my brain. I've gotten so used to helping people without getting paid for it that I literally feel awkward in my brain. My brain is like, "Why do you want to get paid for that? Just answer that damn question." Marcus L: Paul and I work for a client five years ago now. Sara Soueidan: It's completely … It's the honest answer. I don't know how to be a consultant. Paul Boag: Sorry, carry on Marcus. We overlapped a bit. Marcus L: We had a bit of lag there. Yeah, so Paul and I worked for this client five years ago. He was kind of long in the tooth, very wise man, really. He was the CEO of the organization. I'll never forget what he said to us, that basically, you consultants, all you do is come in the room. You take off my watch and then tell me what the time is. I thought, okay, that's kind of the bottom line. Need to do more than that. Then we're winning. Paul Boag: Yeah. I got to say. To some degree, I'm beginning to shift now, where I'm not as nice, obviously as Sara. I think that's blatantly apparent. I'm quite happy to charge for my expertise and my knowledge. I often find that actually the reason that I ended up going towards that is because I wanted to teach people how to solve problems themselves rather than be reliant on me. That felt like the consultancy route. Now I'm swinging back the other way a little bit and going, okay, I'm happy to show you how to do it. I'll produce something tangible for you, but I want to take you through step by step why I've done it that way, so that next time, you could do it yourself. That's where I'm currently at. It's a very interesting area. But I don't believe you don't know enough, Sara. I'm not convinced by that. Sara Soueidan: No, actually, I love that idea. So yours is kind of the in between, the point in between consultancy and workshops. You do a workshop, but that is … I love that. I could actually do that. Paul Boag: For example, great example of that, is I create a lot of project types, obviously in my side of things. A project type is great and they can use that and they can go away and design it, but I will make sure that every single element in that prototype is explained, and why I took the approach that I did on that prototype, so that next time around, they're better informed to create it themselves, maybe, rather than come back to me every time. It's good actually. It all started with one particular client that I was down to write a report for, one of these big reports. You know? He made a comment in the kick off meeting, which is something along the lines of what really matters is the output, not the report. Then I thought, well why don't I just produce the output? Why don't I just produce the prototype instead and explain why I did it? It's kind of gone from there, really, so yeah. It's good. Paul Boag: So 50% of your job is development. 50% is training various means. So I mean you seem to be constantly traveling. Paul Boag: And all over the place. How do you manage to do the development work as well as fit in all that traveling? Sara Soueidan: Well the development work is my priority. Sara Soueidan: If I have to choose between … If I'm managing my team, if I have to choose between making time for speaking versus making time for the client project, I would definitely choose the client project and decline the speaking opportunity if I have to. Usually, there's not a lot … I've never had a problem with these, never, ever. I do get some work done on the road, because I have a lot of hours of spare in airports and on airplanes. I can be productive if I want to. Yeah, so the only days that I would not get any work done is the actual conference days. If I'm running a workshop full day, then I'm probably not getting work done that day. Similarly, if I'm giving a talk and I need to be around at the conference. But all the other days, I've never really had a problem with that. Paul Boag: Okay. You've obviously got the ability that I don't have, which is to … Vitaly 00:35:17 was the same, when we introduced Vitaly from smashing. You can work from wherever from the sound of it. You could sit in an airport and work. I can't do that. I wish I could. Marcus L: I've always said the planes are the best place of all to work. Marcus L: You're not connected to the internet. Sara Soueidan: You're not going anywhere. You cannot be distracted by anything. Yeah. Paul Boag: You underestimate my ability to be distracted. Sara Soueidan: To be fair, I think that what helps me with the getting work done in airports today is the fact that I finally reached a point with my frequent flyer status that I get access to really amazing lounges and you know you get the quiet. You get the wi-fi. You get everything you need to just sit there, including free food. That's amazing. Paul Boag: Yeah. That's a bonus, isn't it. When you're not traveling all around the place, like you've been doing the last few weeks, because you're off conference duty, what would a typical day look like for you? Do you have any kind of routine that you work through? Sara Soueidan: Yes and no. Let's go through a typical day, okay? Assuming that I currently have a client project, a development project. I would normally have a similar routine throughout the whole project time span. I would wake up early in the morning for the morning prayer, which is usually around 4:30 or 5:00 AM. Sara Soueidan: That's not a bad thing. That's an amazing thing. I love it. Paul Boag: No. I'm not criticizing it. I'm just saying wow. Sara Soueidan: Okay. Cool. Yes, that is amazing. I like to take the first hour or two completely off the internet. I don't just start … I don't grab my phone and start twittering or stuff during that hour. I like to take an hour for completely spiritual stuff, where I'm not connected to anything or to the internet in particular. Then when I'm ready, I start the day directly by diving into my client project. My brain is usually freshest early in the morning. Starting so early usually means that I don't get interrupted by anyone or anything, no emails, no client is expecting me to be working at this time or anything. I get to put my entire focus into that project. A couple of hours or three into work, I take a break to grab some breakfast. I'm a health freak. I've become a health nut during the last couple of years, so I like to start my day by making a smoothie, a fresh smoothie. I love that it's one of my favorite hobbies. Afterwards, I might, depending on how I'm feeling, I might do a short yoga session before I get back to work. Then I get a few hours of work done before it's time for the lunch break. Then at this point, usually, that's usually around 3:00 PM or something, my brain is in dire need of a break. I like to drive my car to somewhere far where there's not a lot of people, somewhere I can sit alone in nature and just enjoy being away, basically. I do that a lot. If anyone follows me on Instagram, they get to see a lot of the photos that I take when I'm doing that. Before the end of the day, I get a little bit more work done. I try to stop working at sunset. That's usually 5:00, 6:00, 7:00 PM. Before I stop working, I like to schedule all of my calls to later in the day. It also helps because at that point, I'm probably not going to get a lot of work done anymore, and I don't want any potential calls, or potential work calls to be distracting me from the work that I currently have at hand. At the end of the day, I'm ready to talk about stuff with people. Then after that, there's time for another prayer, and then a long full on yoga session. Then I make a cup of tea and spend the rest of the evening with my family before I go to bed. That's a typical day. Paul Boag: I don't even know where to begin. Marcus L: What? That's not like yours, Paul? Paul Boag: No, that's slightly different than mine. Paul Boag: Just a little bit. Marcus L: I get up early, no? Sara Soueidan: Well one of them is short. Paul Boag: In one day potentially. Oh that's fine then. Sara Soueidan: Well to be fair, it's not just two sessions, to be honest. One of the things that I've been trying to do to incorporate into my day is getting more exercise sessions throughout the day, so even if I'm not officially on a break, I like to get up and move. Yoga is the best way to stretch, because otherwise I have back problems, so I've been doing that. Also another thing to note is that if my client is based in a completely different time zone, like a lot of my clients are based in the US, then my entire schedule shifts. Instead of getting a break in the afternoon, I would get that before, and then work more late at night basically to accommodate the time zone differences. Paul Boag: I was not criticizing about the yoga. I'm just an awe, if anything. The smoothies, I could do that bit. That bit's alright. I could cope with that bit. But the getting up at 4:30, not so much. What time do you go to bed then? Sara Soueidan: It's not easy. I'm kind of like birds. I love birds, so I'm kind of like them. I sleep early and I wake up early. By early, I mean sometimes 9:30, sometimes 10:00 PM. That is very early to a lot of people. Marcus L: Me too. I don't get up at 4:30. I usually get up about 6:00. Paul Boag: You don't have a huge amount of sleep then if you go to bed at 10:00 and you're getting up at 4:30 again. Sara Soueidan: That's like six or seven hours of sleep. It's not always 4:30. Most of the time, it's about 5:00. So that's seven hours of sleep. Sara Soueidan: Also, to be even more … Like this was a typical day, but there are a lot of exceptions. Sometimes I do get a couple of hours of work in the morning. Then instead of going for breakfast, I nap for an extra hour or so. Yeah, then I wake up again and get breakfast and do the rest of the stuff. Paul Boag: I was going to say, if I was a Muslim like you and I was doing the morning prayers, I'd be straight back to sleep after the prayers. Sara Soueidan: I do that. A lot of days, I do do that. Again, this is why I started the whole thing by saying if I have a client project. Usually if I do have a client project, my brain is over … It's very hyper. I cannot go back to sleep because I'll be constantly obsessing about what I want to do. I have enough energy. The adrenaline is so strong that I get work done. In most other days, if I don't have a project to work on or if I have a lot of time and I don't need to start working early, sometimes I do get back to bed after the prayer. Paul Boag: I mean that's just brilliant. I love it. I love it. Sara Soueidan: Sorry, it's getting dark in here, so I'm just going to pause the video a little bit just to fix the lighting on my side. Paul Boag: Yeah. Yeah. It's okay. Don't worry about it. The video is all optional anyway. What we can agree on is napping. I'm a huge fan of napping as well. Paul, in the chatroom, is a huge fan of napping. As I have said many times before, if Winston Churchill took a nap all the way through the second world war in the afternoon, then it's okay by me to … Well that's my logic. Marcus L: I think that was the alcohol with Winston, but there you go. Marcus L: He did believe in a good lunch. Paul Boag: He did. Good man. See, I'm resonating with this man. Anyway, beside the point. I wanted to ask you about the future and whether you have … Do you have a long term plan? Are you just kind of taking it one day at a time? Sara Soueidan: Well there are things I would like to do more of in the future, particularly more hands on work, and probably a little bit more hands on work, and probably a little bit more in house workshops. To be honest, I don't think about the future much, because I mean I've never expected to be where I am today. I never planned it. I've come to a point in life where honestly I just let God handle it all for me. I work hard and if a good opportunity comes my way, I will say yes to it. Any of the things that I'm doing today, any of the things, could someday open a door to something new and completely unexpected. Sara Soueidan: So i don't spend a lot of time worrying about the future, or about what will be and what will change. Right now, I'm focusing on today. I'm trying to make the most out of the opportunities that I have to just to grow both on a personal and professional level. Paul Boag: Yeah. Do you feel like you'll always stick with the freelancing. Are you ever tempted to go and work for someone like Netflix and dig in with the long term? Sara Soueidan: I'm not very tempted, no. Although I do have … I like the points in between. Still having the opportunity to be a freelancer, and at the same time working. I've always dreamed the last few years of always wished for an opportunity where I get to travel somewhere, live there for a few months, while I work on a project and a company. So it's kind of like … To be hired by someone to work on a particular project onsite, that is something I'm completely open to. It would feel like an in between point, you know? I'm still a freelancer, because I know that this project is going to end at some point, and then I can move on to another project. It's not a very long term relationship. It would be a few months of work. At the same time, I would get a taste of what it's like to be hired and working onsite in a company. Paul Boag: Yeah, I understand the appeal of that. There's an end date to it. You're working towards a specific aim, but you get time to follow it through. Paul Boag: Go on. Who would you want to do that with? Where would you want to go? Sara Soueidan: I've always dreamt of New York. Sara Soueidan: Yeah, recently, I've been more interested in basically anywhere in Europe. Sara Soueidan: Company wise, I'm definitely not thinking about any big names. I mean big names are fine, but for me, it would be anyone doing good, you know? Building something useful, doing something meaningful. It could be big companies, small startup, anyone really. Paul Boag: Yeah, or a big charity maybe. That would be quite an interesting one. Paul Boag: Yeah, I've got some great not for profit websites. I desperately would love to spend six months working with them on something, but you know, I'm too money grabbing, so you know, it's not going to happen. Anyway. I totally get the appeal of that. I totally get the idea of … Because you get to embed in the culture a little bit of wherever it is you go and experience life there and that kind of thing, which is always very appealing as well. Paul Boag: So I think that's probably about it. I think that's … It's really interesting to get a bit of a glimpse into your daily routine. That bit, I absolutely loved. I love hearing how different people organize their days and work life. What you didn't talk about, and I will just ask about this, what about email? When do you tend to deal with that? Sara Soueidan: Oh yes. I used to be a complete mess when it comes to email. I would let it distract me the entire day. Recently, I've been making time mostly in the afternoon. Probably a couple of hours a day max, early in the day and one hour later in the day. I also have a kind of a priority email. If I know that this thing that I'm working on, I want to get notifications for it as soon as possible. I need to respond to emails as soon as possible, we use that priority email. Yeah, so basically, just started allocating time for it. Mostly later in the day, sometimes in the evening. Paul Boag: What about with the kind of writing and stuff like that? Obviously, a big part of being a freelancer is marketing yourself. I mean you do it in a very gentle way. You do it through speaking and through writing and that kind of stuff. Essentially, it is business development. With the writing stuff, how are you at that? Is that something that comes very easily to you? Is it like pulling teeth? Sara Soueidan: You mean the writing part itself? Paul Boag: The writing process, finding time to write, that kind of thing. Sara Soueidan: Yeah, it comes naturally with me. This is, again, one of the other gifts that I've had my entire life. Even when I was in school, I was in like seventh or eighth grade and I would write three page long, like really big pages, three page long essays, when others wrote barely one page. I would always write long ones. I love writing. I even thought about becoming a journalist at some point, but I didn't really like that enough to pursue it. Sometimes the only thing that I have a problem with is coming up with ideas, but Twitter has been helping me with that stuff, because a lot of followers sometimes suggest or ask me to write about a specific topic. Yeah, so I get the ideas from them. Then the writing comes naturally. Paul Boag: When do you do it, is it something that you just fit in around other stuff? Paul Boag: Do you tend to block out time for it? Sara Soueidan: Yeah. Yeah. I just fit it around other stuff. Paul Boag: Okay. I see. That's the advantage of being a natural writer. You can pick it up and put it down when you feel like it. Sara Soueidan: The advantage of being a freelancer as well, because time management, the ability for me to be able to do whatever I want during the day, however I want, manage my time the way that works for me and for my client, of course. That is a privilege, in my opinion. Paul Boag: Yeah, absolutely. Alright then. Well let's wrap it up at that point. I just want to talk about our second sponsor, which is Pactly. Great if you're a freelancer, this one. Whether you are an individual, a business, a freelancer, an agency, whatever, you probably spend far too much time from a work perspective, looking at NDAs and contracts and all of that kind of stuff. A tool like Pactly is really useful. What it basically does is it helps you understand NDAs, service agreements, sales contracts, vendor agreements, consultancy agreements, all these types of things, so when they're sent through to you, you can basically put them into the system and the system will then flag anything that looks a bit dodgy or could be problematic about them. If you want to give it a go, then you can do so by going to PAC.sg/boagworld. You can try it absolutely for free. If you don't have a contract at the moment, it's probably worth bookmarking it, because it won't be long before you have something that you need to use. If you decide that you want to use it and that you want to move on from their free plan that they've offered, then you can get 30% off of all of their paid plans for the lifetime of the plan by using the code boagworld. Alright, so that probably 00:51:13 wraps it up. Now, Sara, I don't know whether you've ever had the misfortune of listening to this show, but we always end with a dad's joke from Marcus. Sara Soueidan: Okay, bring it on. Paul Boag: So go on. Yeah. Marcus L: This is from Andrew Rossman in the Boagworld Slack channel. So what is the difference between a used car salesman and a software salesman? Marcus L: The used car salesman known when he's lying to you about product. It's true though. Paul Boag: It is true. That's not a joke. That is a statement of fact. That is really disturbing. Alright, well that's great. You might've noticed that we were supposed to be having Aaron Walters on this week's show. We've actually switched the order of the shows around. He obviously didn't join us this week, but he will be joining us next week, so make sure you tune in then. We'll find out a little bit more about what's going on at Envision and the design education work that they do now. For now, thank you very much. Sara, it was great to have you on the show. Thank you all for listening and goodbye.